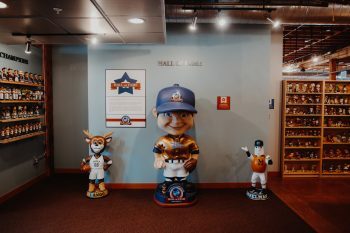 Although the Museum has over 6,500 unique bobbleheads from the collection on display, the Hall of Fame will be an exclusive portion of the Museum reserved for the best-of-the-best. Each year, Members will be able to vote on which bobbleheads from that year will join the elusive Bobblehead Hall of Fame. Many bobbleheads will be made, but only a few bobbleheads each year will be elected into the Hall of Fame. Founding Members will have the exclusive honor of inducting the initial class of bobbleheads into the Bobblehead Hall of Fame. 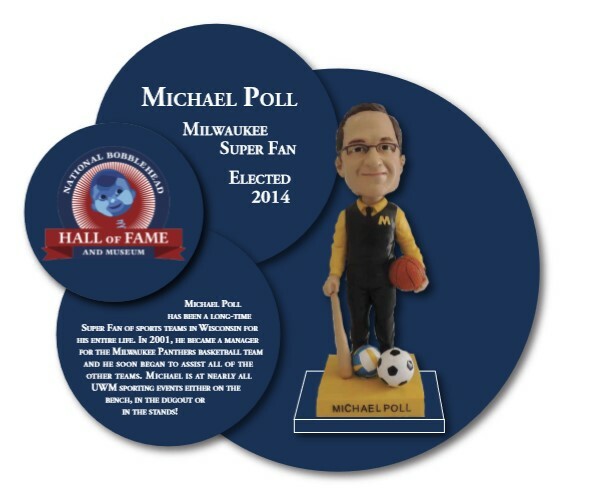 Become a Member today so that you can vote for the Bobblehead Hall of Famers! Hall of Fame Plaque example.